Episode 153 – Beth Pascall, Pavel Paloncy, Mike Ambrose, Golden Ring Ultra. Episode 153 of Talk Ultra is a packed show with multiple interviews… We speak with Beth Pascall who was 1st Brit and 4th lady at Transgrancanaria. We speak with 3 time winner of The Spine Race – Pavel Paloncy. 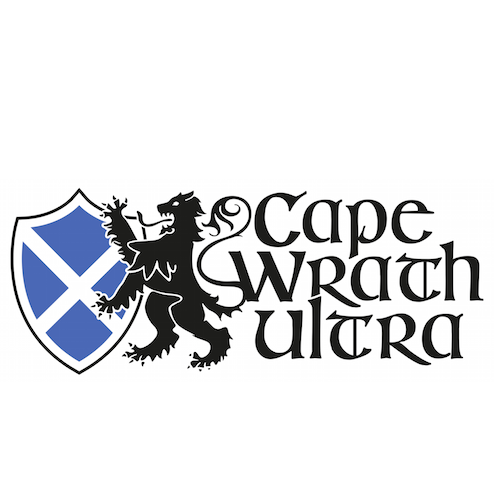 We also chat with Michael from Russia’s Golden Ring Ultra and finally, Kurt Decker brings us chat with Mike Ambrose. Speedgoat co-hosts. Ever present David Johnston once again won but this time with Gavin Woody – 5 days, 10hrs and 23min. Pau Capell did it again on a new course winning in 12:42 ahed of Aurelien Collet who led the race for much of the day, he finished in 12:56 and Cristofer Clemente was 3rd 13:22. For the ladies it was a surprise win for Magda Lack ahead of the indestructible Andrea Huser and Ekaterina Mityaeva 3rd – 15:18, 15:58 and 16:12. The UK’s Beth Pascall was 54th. 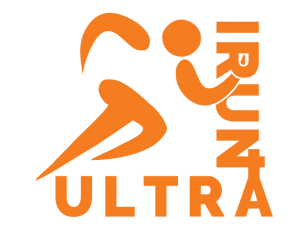 Golden Ring Ultra – The Golden Ring Ultra-Trail® 100 is a trail race for runners of all backgrounds and levels of experience. We go EXTREME! Yes, the 2017 Migu Run Skyrunner World Series kicks-off the Extreme category in Italy with the Royal Ultra SkyMarathon® Gran Paradiso – 55km, 4287m of vertical and the high-point coming at 3002m. The course profile is a sharks tooth profile with no less than 10-peaks over the 55km course. Significant points coming at 5km, 12km, 25km, 27km and then a succession of repeated peaks over the final 15km before the final drop from just under 2600m to 1570m. It’s going to be brutal! The 50km course winds through the Gran Paradiso National Park in the royal hunting grounds, hence the ‘Royal’ title, runners will compete with ibex and chamois. Starting near a lake at an altitude of 2000m, participants will traverse five passes – the magnificent Gran Parasido mountain will provide a stunning backdrop towering over the race at 4061m. Moraines, rocks, streams and snowfields provide an extreme challenge. Jan Bartas is a regular on the Skyrunning circuit and while he may not be a contender for the top-3, he will be in the mix for the top-10. Cristofer Clemente has grown and grown as a trail and mountain runner. His performances in Skyrunning have elevated him to top the world stage and recently he produced a stunning run in the IAU world champs. He’s a favorite for the win. Bhim Gurung on his day can handle the distance and technical terrain and beat the best in the world. He can descend like a demon and he will be up at the front end for sure. 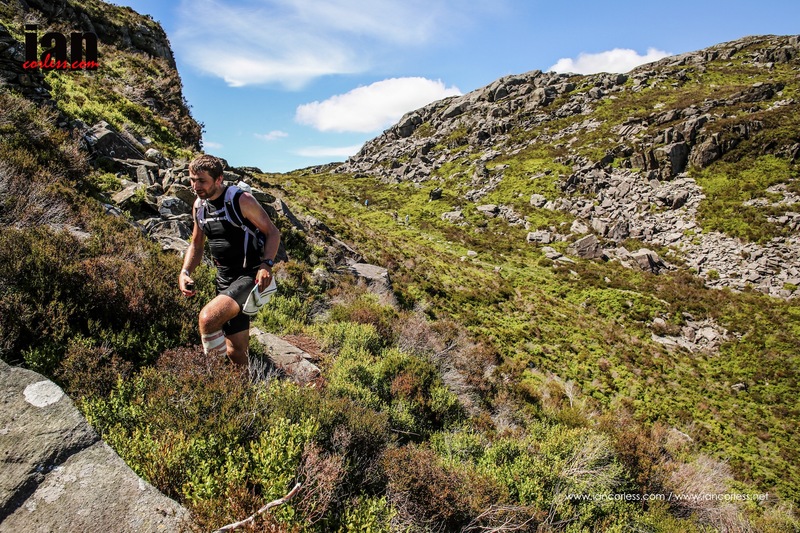 Hector Haines is slowly but surely coming a dominant force on the Skyrunning SWS. 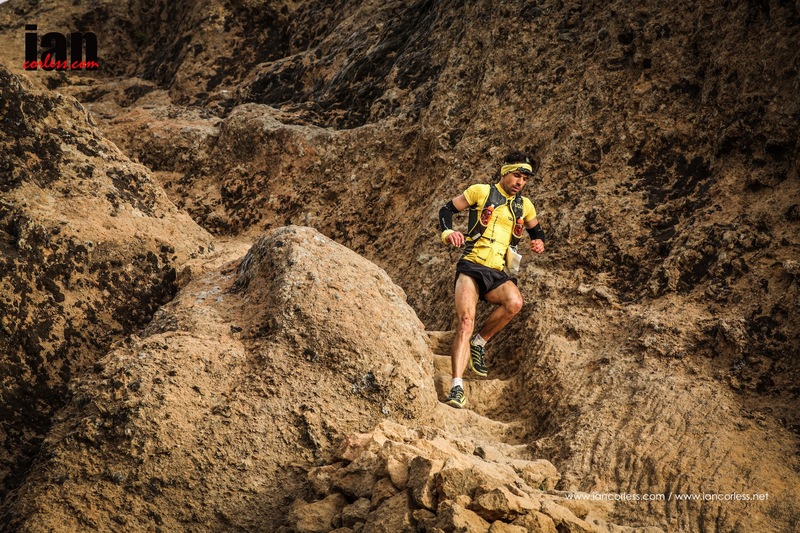 He excelled at Limone SkyRace and recently he had a great run at Transvulcania Ultramarathon. Hector may well win this race! Andre Jonsson just had a great run at High Trail Vanoise and he will most certainly be a top-10 and on a normal day he would be top-5, however, I think he may be a little jaded after HTV. Dimitry Mityaev placed 3rd at High Trail Vanoise and like Jonsson is almost certainly going to be tired in Italy, however, he has the strength to potentially dig-deep and make top-5. Shane Ohly on his day has the potential to turn a few heads, he’s not likely to make the podium but in recent months he’s been showing some great form. Pavel Paloncy is as strong as an ox and will trade blows with the best, however, on this course I think he will lack speed to contend for the podium. Konrad Rawlik is a solid mountain runner who like Ohly has all the potential to mix it with the best in shooting for a top-10 slot. Roger Vinas rose through the Skyrunning ranks in 2016 with a series of solid performances, he is a top-10 potential and if he’s on a good day he may well make an impact on the top-5. Zaid Ait Malek raced recently in Spain so may well be tired, however, he has all the speed, endurance and skill to make the podium and yes, win the race! Sophie Grant has recently placed 10th a Tararwera Ultra, 4th at Transgrancanaria and 11th at Mont-Blanc 80km – the Royal will bring a whole new challenge to this British runner and she has all the potential to turn heads with a podium place. Aitziber Ibarbia is a regular competitor in the SWS calendar and is without doubt a contender for the top-5 and a potential top-3. Maite Maiora is the odds-on favorite for victory after winning Zegama-Aizkorri and the recent Livigno SkyMarathon. Emanuele Manzoli placed 3rd at the Royal in 2015 and brings course knowledge and experience. A recent victory at Trail Alta Vai Nure. Ekaterina Mityaev is a new name and face in Skyrunning and she is excelling after moving up from shorter distance races to ultras. In 2016 she placed 4th at Ultra Pirineu and in 2017 she was 7th at Transvulcania, 2nd at Ultra SkyMarathon Madeira and she was 3rd at Mont-Blanc 80km – podium potential for sure! Katie Schide is a relative unknown on Italian soil but she placed 7th at Speedgoat 50km in 2015 and won Antelop Island 50k. No results show for 2016 but 2nd at Moab’s Red Hot 55km in 2017 shows she is in form! Backed up in Livignio and recent racing in France. Natalia Tomasiak was 7th at Glen Coe Skyline in 2016 and 6th at Trofeo Kima, A recent win at Stubai Ultratrail shows good form. 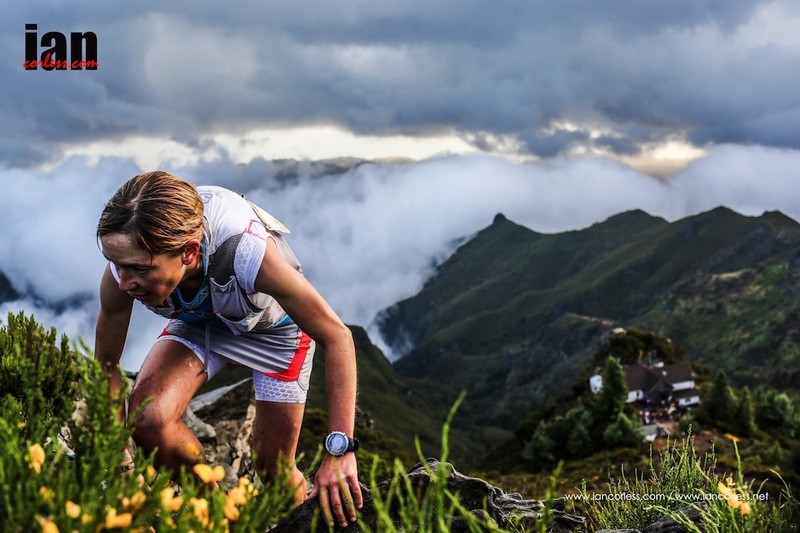 Zuzana Urbancova 8th at Ultra SkyMarathon Madeira and a string of other top-10 results confirm that a top-10 is a distinct possibility and top-5 is possible on a good day. 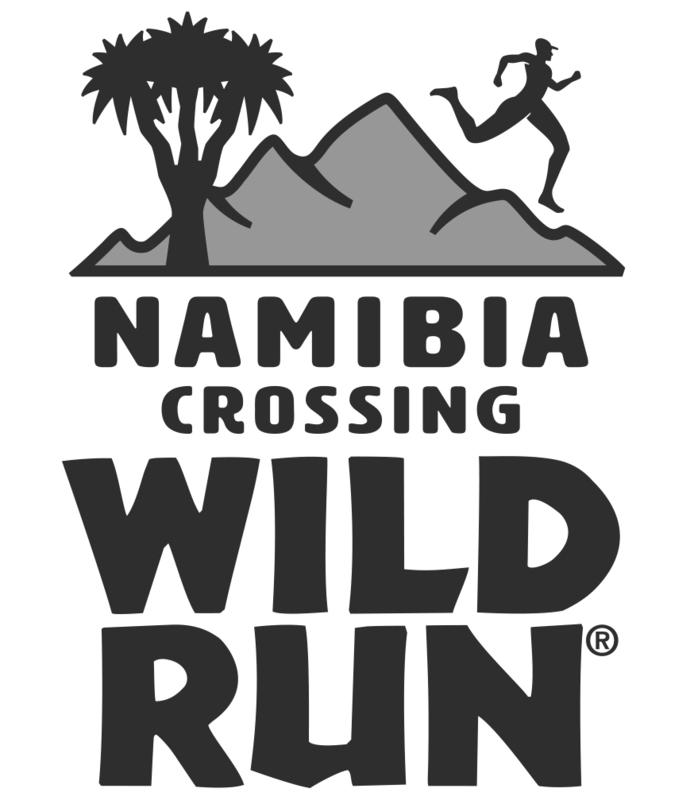 Susan Van Duijl and a whole host of other top female contenders will make this an exciting race. Skyrunning reaches new heights in the UK this September with the Skyline Scotland series of events – VK, SKY and EXTREME. In just three years, Skyrunning in the UK has progressed from zero races to a well-established portfolio of races that bring the ethos and principles of pure Skyrunning onto UK soil. In 2015, the Glen Coe Skyline provided a race that was considered by the ISF (International Skyrunning Federation) as a pinnacle event and plans were hatched. In 2016 we saw the launch of the Skyrunner® Extreme Series – three races, three ultimate challenges and Glen Coe Skyline was included alongside Kilian Jornet’s and Emelie Forsberg’s Tromso SkyRace and the iconic Trofeo Kima. In addition to this, Shane Ohly (Ourea Events) in conjunction with Skyrunning UK was well aware of the growth potential and possibilities that Glen Coe area has to offer, therefore, new for 2016 will be the UK’s first ever VK – Salomon Mamores VK. Yes, folks, 1000m of vertical gain in one push. In addition to this a new SKY distance race has been added, the Salomon Ring of Steall SkyRace. The VK and SkyRace will have eligible points for the Skyrunning UK Series but not the Skyrunner® Extreme Series, that honour is given to the pinnacle event, the Salomon Glen Coe Skyline. Tromso and Kima are done and dusted and boy oh boy there has been some seriously exciting racing. At Tromso, it was a Brit 1,2,3 with Tom Owens, Jon Albon and Finlay Wild taking top honours. In the ladies’ race it was Jasmin Paris who topped the podium. At Kima it was all change with Nepalese runner, Bhim Gurung taking top honours and Owens and Albon missing the top podium places. Finlay Wild was missing saving his energy for Scotland and Jasmin Paris ran UTMB and placed an incredible 6th. Emelie Forsberg made her return to high level racing after month and months of rehabilitation after ACL surgery. She won! It was a dream comeback for the Salomon runner and hopes were raised that the 2015 Glen Coe Skyline winner would return… Unfortunately, no. Emelie is taking her rehabilitation seriously and has now gone to India for 1-month to work on her yoga skills ahead of the 2016/17 ski mountaineering calendar. So, the Salomon Glen Coe Skyline is all to fight for from a male and female perspective with valuable Skyrunner World Series points up for grabs. The men’s race is going to be a nail biter. Tom Owens racing on home soil must be the favourite, particularly after victory in Tromso. He placed just off the podium in Kima and so therefore overall position and the 20% bonus points that come with the final race will be crucial. Tom had a purple patch of running recently with back-to-back incredible results, maybe he was a little tired at Kima but I think he will be rested and fired up for the Scottish race. Although not confirmed, Skyrunning and Trail Running Nepal are doing their best to obtain a visa to allow Bhim Gurung to race in Scotland. With a victory at Kima, his chances of sealing the SkyExtreme title are very high. 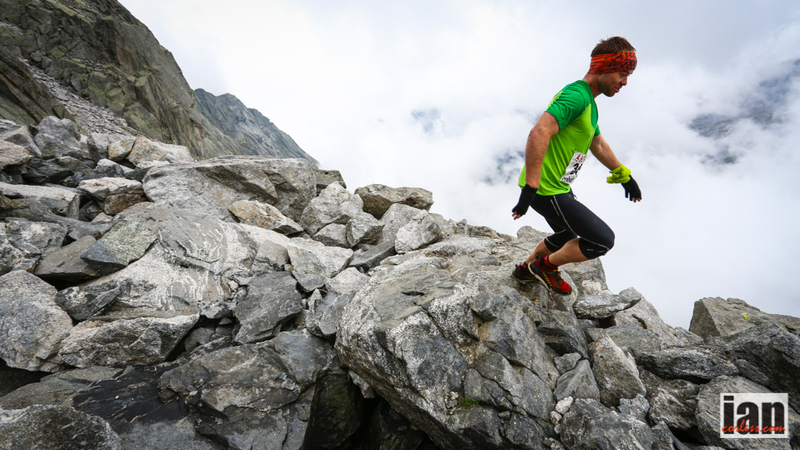 His race in Kima against Skyrunning legend, Marco De Gasperi was phenomenal. 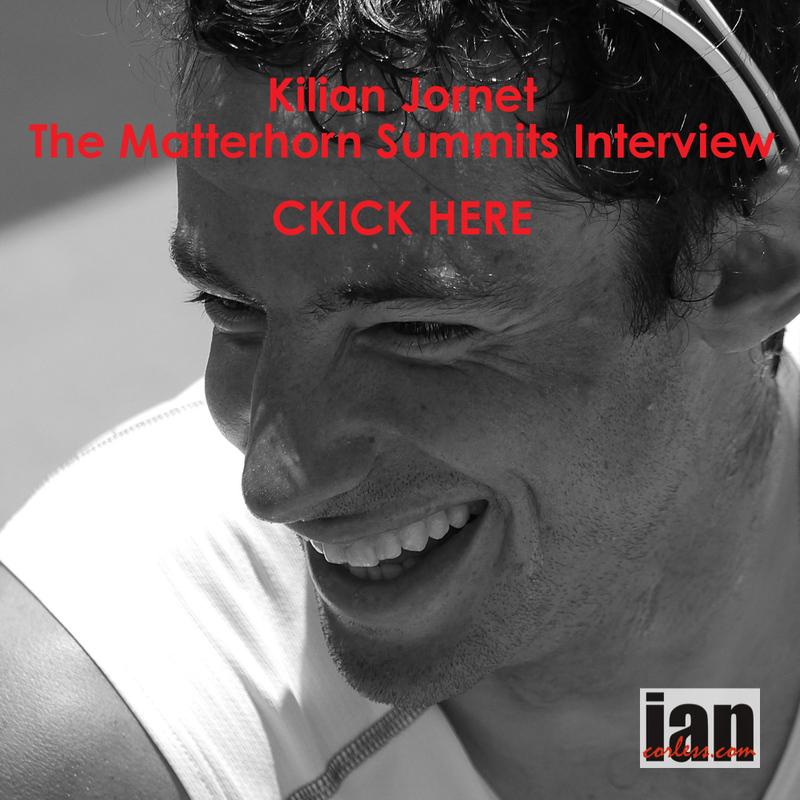 Also take into consideration he broke the course record set by Kilian Jornet. If Bhim makes it to Glen Coe it is going to be very exciting to watch. This is Finlay Wild’s home ground and after placing 3rd at Tromso, home advantage here at Glen Coe is going to provide a great boost for the man who excels in the mountains. Alexis Sevennec ran in the lead for much of Trofeo Kima only to relinquish a podium place in the latter stages of the race. However, he has points for the Extreme Series and with such a quality field here in Scotland, it’s all to fight for. Marc Lauenstein and along with Stian should not be ruled out for overall victory at Glen Coe. This guy is on fire and with a victory at the iconic Zegama-Aizkorri and a recent victory at Matterhorn Ultraks, Marc is one to watch. This is Marc’s first Extreme race and he can therefore not qualify for the series. What follows is a list of athletes that without doubt makes the Glen Coe Skyline THE most exciting and stacked field ever assembled on UK soil. 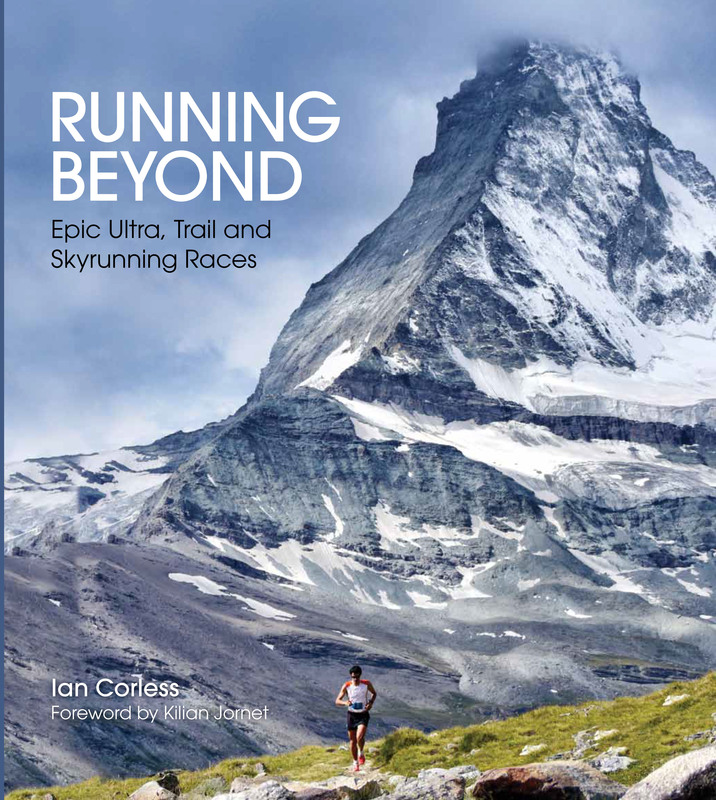 Skyrunning UK had a plan 3-years ago to bring the world’s best to the UK. In 2016 we have achieved that. This line-up is world class. What is important to remember is that in many respects two races are taking place in Glen Coe – the race for the podium and the race for points so that one male and one female can be crowned Sky Extreme Champion 2016. Jan Bartas – Jan is a regular runner on the Skyrunning circuit and has recently raced at the Skyrunning World Champs where he placed 27th on the men’s race and most recently he raced Trofeo Kima. Donald Campbell – racing on home soil. He had a below par performance at Kima but will look to put the record straight here. Kim Collison had a great race at the Skyrunning World Championships and with a strong background in fell, mountain and and adventure racing he is without doubt another UK talent who will be a contender in the upper ranks. Andrew Fallas raced at Tromso with a strong and consistent performance and will without doubt be one to watch. 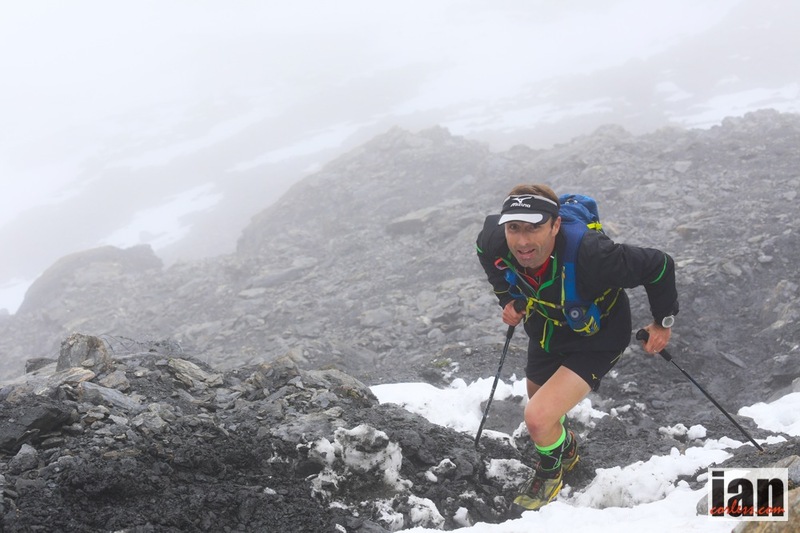 He recently had a below par performance at Matterhorn Ultraks. Martin Gaffuri – Team Manager for the Scott Team is no slouch when it comes to racing and running in the mountains. Last year, Martin had a great run and placing at the super technical ELS2900 in Andorra, so, we can expect a sold run. Eirik Haugsness – Won the inaugural Tromso SkyRace and followed with a strong performance in 2015. In 2016 he had a strong run in Tromso but below par for him. He missed Kima saving his strength for Scotland. Gareth Hughes – Is a UK based runner who has performed consistently on the Skyrunning UK Series where he is one of the top performers, he will no doubt relish the opportunity to test himself against such a world-class field. 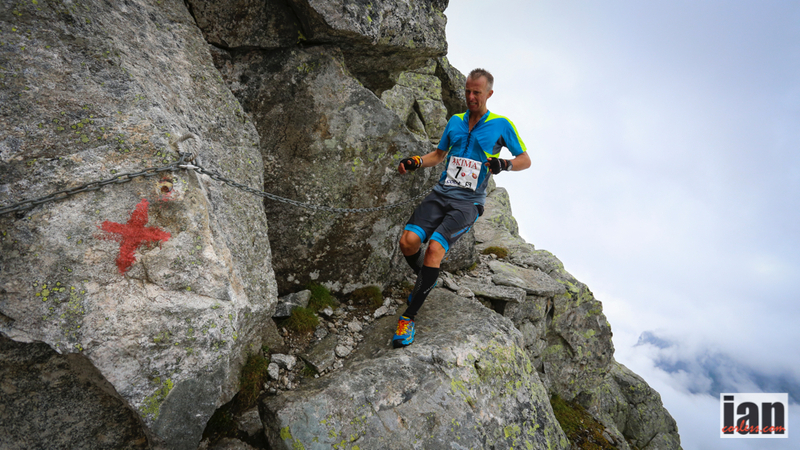 Rolf Einar Jensen – Was 3rd at Tromso SkyRace in 2015 and just off the podium in 2016. He is a strong runner who knows how to handle the tough, technical and challenging terrain that Scotland will offer. Tromso’s terrain and weather is very similar to Scotland – he’s one to watch! Andre Jonsson – Has been a revelation in 2016 with a string of strong results in the Skyrunner World Series. He raced Trofeo Kima just a couple of weeks ago and he’d be the first to admit that it was a learning curve… One that he loved. He will be in the mix in Scotland. Jim Mann – The Dragons Back 2015 champion raced at Tromso and Kima and under normal conditions he’d be a contender for the top places. However, life seems to be getting in the way for Jim and he’s using 2016 for experience. Luke Nelson – Raced Tromso and just recently raced the VK and SKY race at the RUT in Montana. 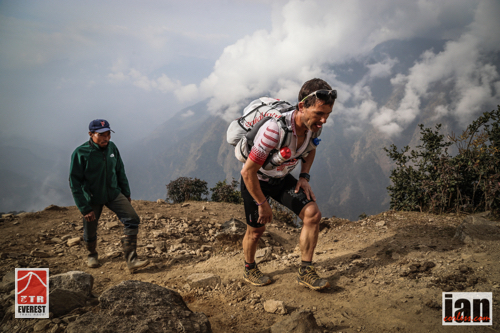 Luke loves the mountains and technical terrain and we can expect a strong performance. Pavel Paloncy – Is a winner of The Spine race and comes from an adventure racing background. For sure he will be in the mix in Scotland but on this terrain over this distance, I think he will lack the speed to contend for the podium. Konrad Rawlik – Ever consistent in the mountains and fells. We won’t see him on the podium but he will hover around the top-10. Philipp Reiter – Tromso and Kima are ticked off for Philipp and if he was ‘just’ able to run and train he would have been a contender for the overall series. However, like for many of us, life and work has got in the way. However, don’t rule him out. This guy has natural talent and he will certainly be in the top-10 mix. Christophe Le Saux – Has raised the series and as many of you may well know, this guy races a great deal! He’s a huge character, very friendly and although he won’t be in contention for the series podium, you can expect to see him around the top 10 to 20. Joe Symonds – Last year’s Glen Coe Skyline winner has not raced at Tromso or Kima so will only be looking for Glen Coe glory. However, he will have his hands full as I am sure he is aware. He has the advantage of racing and winning last year, he also has home advantage. Esmond Tressider – Es almost certainly could have contested the overall series had been available to race at Tromso or Kima. As it stands, he will only race Glen Coe but he is one to watch. Last year he was living and training in the flat lands despite a love of the mountains. That has changed recently and he has been able to train on more specific terrain. Greg Vollet – Team Manager for Salomon often beats the athletes he manages… He comes from a professional mountain biking background and is known for his fast descending. 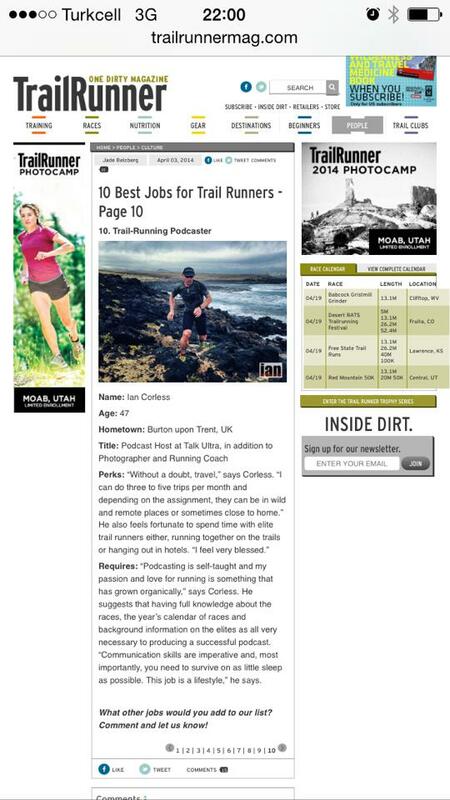 Just last weekend he placed 2nd at The Rut 50k. Greg won’t be contesting the series but he will be in the mix at the front end of this race! Notable mentions for Jayson Cavill and Ally Beavan who are racing on home soil who are solid performers in the Skyrunning UK series. Do I need to say that the men’s race is going to be an incredible and exciting battle? The ladies’ race has less depth. It’s often the case in all Skyrunning racing but in the SkyExtreme Series this is even more so due to the challenging nature of the courses. Marlene Bikken Haukoy – Had a solid race once again at Tromso with a repeat podium place, she was also on the podium in 2015. Marlene is a rock solid racer with a string of top placed runs. Like I have said before, Norway is very similar to Scotland and we can expect her to on the podium. Ruth Croft placed 2nd behind Emelie Forsberg at Trofeo Kima and has now decided to run in Scotland in the hope to gain valuable ranking points and with a 20% bonus there is everything to fight for. The battle for the series title between Ruth, Jasmin and Malena is an exciting one! Sarah Ridgeway – Is currently 2nd in the Skyrunning UK Series and ultimately will be looking for a maximum of points to secure her 2016 title. However, she is extremely competitive and has experience of competing on a world-stage. Sarah won’t be phased by the competition in Scotland, on the contrary, she will love it. A podium place for sure but which one? Beth Pascall is a force on the UK scene with some incredible performances at The Spine Race, Dragons Back and most recently she obliterated the Lakeland 100 female course record. Beth will relish the opportunity to mix things up with the other ladies and she may well pull of a surprise victory! Naila Jornet Burgada – Kilian Jornet couldn’t make Glen Coe, apparently there is some big peak he is trying to set an FKT on in the Himalayas… Not to worry, Kilian’s sister, Naila will join us. Not a pure runner, Naila is very much a skier, ski mountaineer and rock climber, however, all these skills will come together on the Glen Coe course. It’s going to be great to see her take part! Lizzie Wraith – Is a previous winner of the Lakeland 100, she made the podium at the Dragons Back Race and we can expect her to be in the mix for the top 5 and most likely the podium. Although not a pure Skyrunner, Lizzie has dipped her toe in the UK series and placed well at the Mourne Skyline MTR in Ireland. 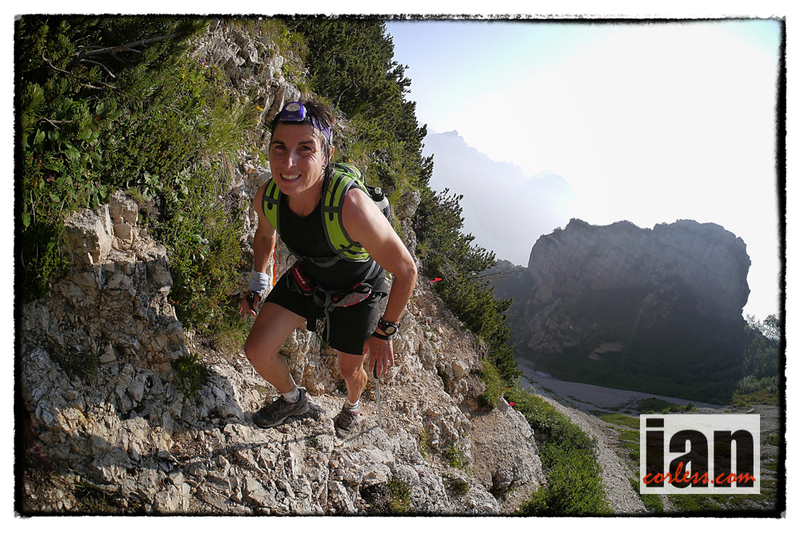 Martina Valmassoi from the Salomon International Team has raced on the Skyrunning Circuit for 2-years now. Last she placed 3rd at The Rut and earlier this year she had a strong performance in Madeira. Just last week she raced at The Rut once again but dropped with stomach issues. Martina did race at Tromso with a solid performance so we can expect her to mix things up at the front in Scotland and of course she will be looking for valuable series points. Natalia Tomisiak, Zuzana Urbancova and Olga Lyjak will also be ones to watch in what will be an exciting and stunning ladies race. However, Francois Gonon from France is the 2015 Skyrunning European VK Champion and if one person can push Stian it is him. From a UK perspective eyes will be on Graham Gristwood who is the 2010 World Orienteering Champion tackling his first VK. Jim Mann, Joe Symonds and Martin Mikkelsen-Barron will also run. In the ladies’ race, Lizzie Wraith is looking to do the Salomon Glen Coe Skyline double. Stian Angermund is the Skyrunning World Champion for the Sky distance and it’s an honour to have him come and race on UK soil. The similarities between Norway and Scotland are going to suit him and we can expect him to blast around the course and without doubt he will contest for the top of the podium. Francois Gonon is the most likely person to push Stian to top the podium in the SkyRace and we can expect him to blaze a fast trail to the line. Bjorn Verduijn currently leads the Skyrunning UK Series ranking and he will be looking to consolidate his lead with a top placing and maximum points. In the ladies’ race, Raidlight sponsored Joanna Zakrzewski is a likely contender for the top spot. She is Scotland based and has great experience racing on a big stage. She has placed highly at Comrades in South Africa, is a GB 100km runner and has completed races like the Dragons Back. Importantly, many runners from the UK will be looking for points in the Skyrunning UK Series. Please make yourself familiar with the main names and overall contenders HERE. Action starts on Friday September 16th with the VK, the SkyRace is on the 17th and the weekends main event will take place on the 18th. Skyline Scotland will be the pinnacle of the UK’s running calendar and a whole weekend of activities are planned. Please check out the website HERE. Film shows, meet and greet the athletes, talks with Q&A possibilities and of course 3 amazing races that you can come and watch for free! Information HERE. Taking centre-stage on Friday night will be the awesome Jasmin Paris who will be talking about her record breaking Bob Graham and Ramsay Rounds followed by questions from the audience. We’ll follow this with a screening of the Best of Sheffield Adventure Film Festival winner, The Barkley Marathons. On Saturday night the spotlight will be on Salomon athletes Tom Owens and Joe Symonds (2015 Salomon Glen Coe Skyline™ winner) who will be introducing two Salomon films including Fast and Light and Bob Graham Round followed by a question and answer session. After the interval you can settle down to watch the Best of Sheffield Adventure Film Festival films: 3022 Feet, There on the Periphery and Curiosity. *Please check the race website on information in regard to spectating HERE. The main race takes place on some very challenging and exposed terrain. 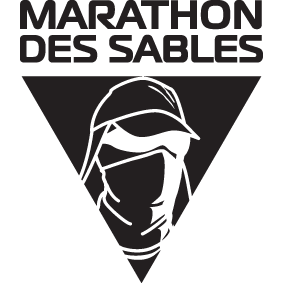 For the safety of runners, volunteers and supporters, we request that you do not go to certain areas. Please also appreciate that this is the UK, the weather can change in minutes. Be prepared with warm layers, waterproof clothing, hat, gloves and please make sure you have food and water to last whilst on the mountain. The stunning alpine village of Val d’Isère is the official home of the next two races in the Skyrunner® calendar, the Ice Trail Tarentaise which is the Skyrunning Continental Championship for the Ultra distance and the Bellevarde Vertical Kilometer the first VK in the Skyrunner® World Series. Val d’Isere is a haven for alpinists wanting to test themselves on the iconic slopes of Meribel, Val Thorens, Courchavel; it is affectionately known as the ‘Le Trois Vallees’. The Ice Trail Tarentaise (ITT) starts and concludes in this beautiful mountain retreat. The ITT has over 60 km’s above 2000m altitude and with a highest point of 3653m at ‘Grande Motte.’ In just a couple of years, the race has gained a reputation for being one of the most ‘extreme’ races in the Skyrunner® calendar, it is a race not to be taken lightly! Traversing glaciers, ascending and descending summits such as ‘Aiguille Pers’ at 3386m, ropes, ladders, way markers, peaks at over 3000m and 5000m +/- ascent and descent guarantees that not everyone will see the finishing tape. The ITT is very true to the heritage of Skyrunning and it harks back to the late 80’s and early 90’s when ISF President, Marino Giacometti pioneered a new form of Alpinism. ITT has always had a high quality field assemble and 2015 is no different. 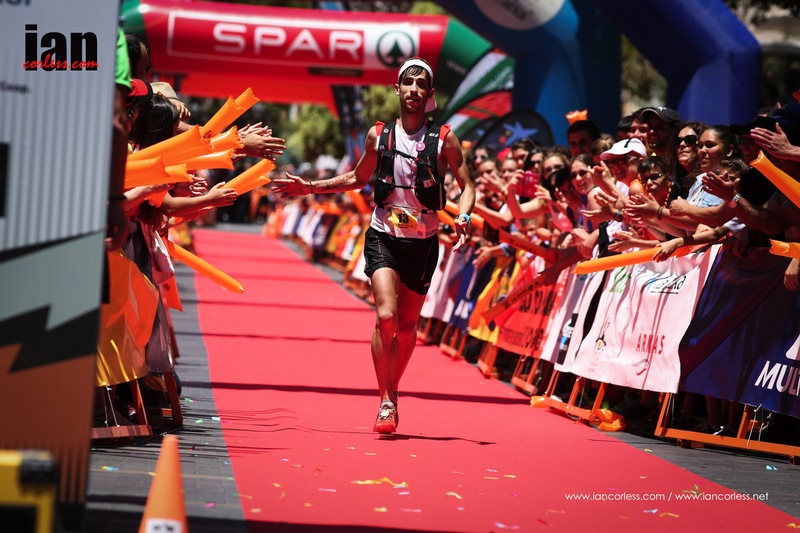 Luis Alberto Hernando heads up the men’s field after his recent victory at Transvulcania Ultramarathon and placing 2nd at the IAU World Trail Championships. Luis ran ITT last year but pulled out whilst in 2nd place. I am convinced that we won’t see that happen this year and for me, Luis is the hot favourite for victory. He is without doubt in his element on tough courses (with snow) between the 50-100km distance. Manuel Merillas is a rising star in Skyrunning and had an incredible 2014. He placed 5th at ITT in 2014, which will most definitely provide him with a great deal of experience coming into the 2015 edition. 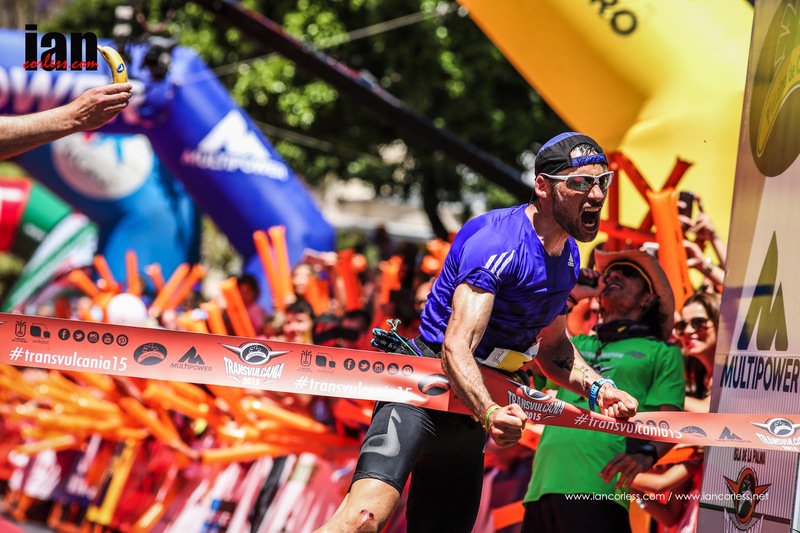 The recent Transvulcania Ultramarathon did not go well for Manuel; he looked primed for the podium in the first half of the race but then struggled in the latter stages to finish outside the top 10. He showed amazing powers of recovery by bouncing back just 1 week later at Zegama-Aizkorri and placing 2nd. One to watch! Fabien Antolinus had a great race in 2014 and placed 2nd behind Francois d’Haene. He does however seem to blow hot and cold and can be a little unpredictable. For sure, he has all the skills and talent required to perform at the highest level. He may well be a podium contender but I don’t see him toppling Luis. Pablo Villa shot to our attention in 2014 when he had a great run at Transvulcania Ultramarathon. Shifting sponsors (now Salomon) he backed that performance up with 8th at the 2015 edition of the race. Pablo is a top 10 contender and should he have a great day, the top 5 may well be a possibility. Fulvio Dapit has all the potential to make the podium at ITT. On his day, he is a superb mountain runner and he excels when the terrain is ‘challenging.’ He placed 4th at ITT in the last edition. Recently though he had a tough performance at Lavaredo, however, he did pull out and that may well have saved his ITT performance. French champion (2013), Sebastien Spehler had victories at TTN and 6000D in 2014. His recent form is a little unknown but he may well make the top 10? Benoit Cori placed 13th at the IAU World Trail Championships and won Templiers in 2014. The ITT course is far removed from both those courses but Benoit obviously has speed. Marcin Swierc is another runner who will make his presence felt in the top 10. He placed 8th at Mont-Blanc Marathon and 9th at Templiers and 4th at the recent Mont-Blanc 80km. So it is clear to see that he has speed and strength. ITT adds other aspects and his final result will very much depend on how he can handle snow, ice and additional technical running. Christophe Perillat is not a runner I know a great deal about. 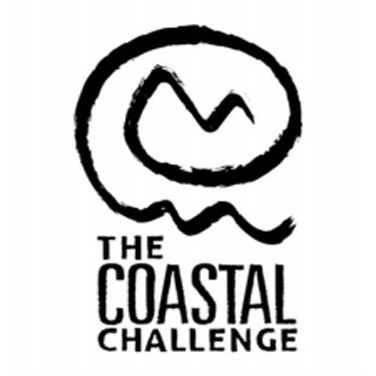 However, he did place 2nd at the 2014 CCC. So with that in mind, he is no slouch in the mountains. Cyril Cointre may well start the race? I need to have this confirmed. If he does, he will be a contender at the front of the race. He races extensively, some may say too much but despite this, he always pulls out the results. Recently he finished ahead of Anton Krupicka at Transgrancanaria. Franco Colle knows how to run in the mountains; look at his results at Tor des Geants. The ITT terrain will suit him but will it be too short and too fast? He certainly performed exceptionally well at Mont-Blanc 80k when he placed 2nd behind Alex Nichols. Zigor Iturrieta has been there and done it in racing. I was last at a race with him in Nepal when he ran Everest Trail Race (he placed 3rd) and he always manages to pull out the stops for strong consistent results. Pavel Paloncy is a renowned adventure racer, 2-x winner of the UK’s Spine Race and recently raced The Dragons Back and would have placed well overall had it not been for a bad fall on day 1. Pavel is a strong and gritty runner. I do wonder though if this race may be too short and too fast for Pavel? Stuart Air from the UK has run well at ITT before and top 10 would be a great result. Emelie Forsberg has won ITT 2 x and I have no reason to doubt or question that she will do it again. It’s a course she loves, the terrain suits her and she has great memories. Last weekend she won and set a new course record in Alaska at Mount Marathon. It was 50-minute race but just today (Tuesday) she said her legs are tired! I think they will be okay for the weekend. Her performance and victory (off ski’s) at Transvulcania Ultramarathon in 2015 confirms that Emelie is the one to beat! Anna Comet Pascua is on fire at the moment. I witnessed Anna win Everest Trail Race at the end of 2014 and she said then that she planned to race the Skyrunning circuit in 2015. 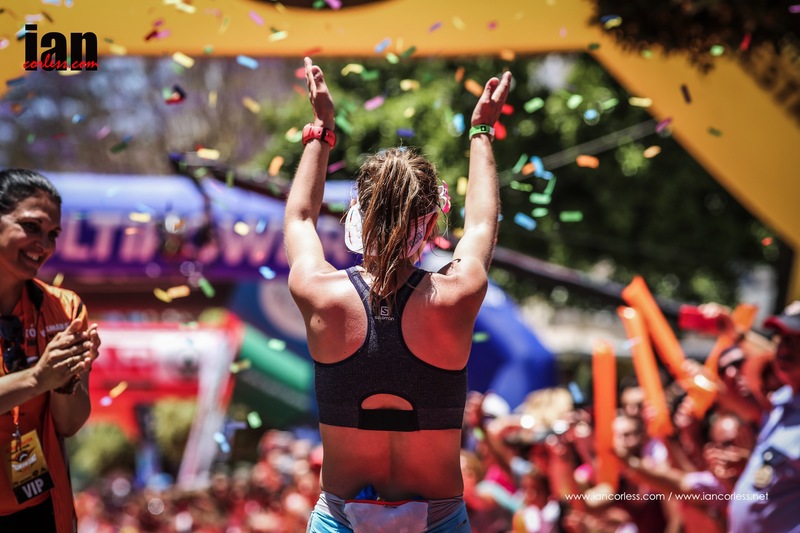 A podium place at Transvulcania Ultramarathon and then a follow up podium behind Mira Rai at Mont-Blanc 80km confirms that Anna is doing something right. Just as in La Palma, I don’t think Anna has the race to beat Emelie but anything can happen? It will not be an easy ride for Emelie and Maud Gobert will make sure of that. Maud placed 2nd at ITT in 2014 and although she races lees now than in the past, on her day she can still make her presence felt. Anne Lise Rousset placed 4th at the IAU World Championships and although she has great potential for top 5 or maybe even the podium, I don’t see her coming close to Emelie on a course like this. Magdalena Laczack however may well prove to be the dark horse of the race and is my top tip for 2nd place and should Emelie falter, Magdalena could possibly take the victory? Her 3rd place behind Emelie and Frosty at the Skyrunning World Championships (80km) in Chamonix confirms this. 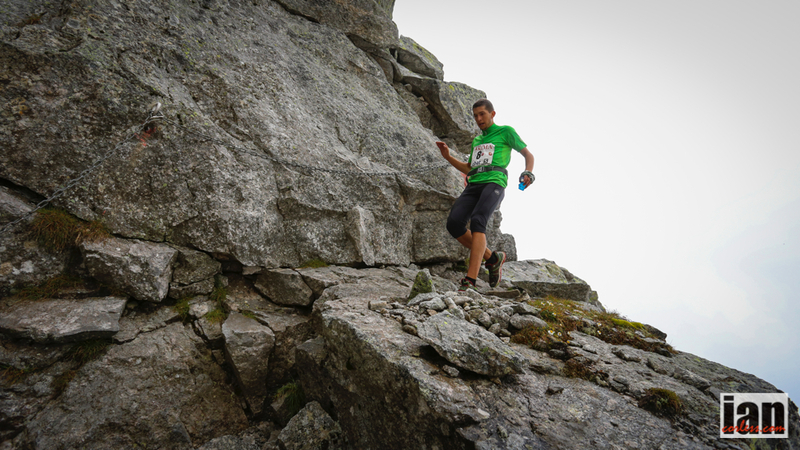 Nuria Dominguez is an ever present on the Skyrunning circuit and always gets the job done. She has placed top 10 at Transgrancanaria, Zegama-Aizkorri, Dolomites SkyRace, Trans D’Havet, Limone Extreme and so on. Top 5 is a distinct possibility and most certainly a podium contender on a good day! Beth Cardelli is one of the strongest runners in the Southern Hemisphere and won one of the shorter races at ITT in 2013. Climbing and long distance running is her forte and I am sure if she is making the journey from Australia she will be fired up for a great run. Recently she placed 4th at Mt Difficulty and 3rd at Buffalo Stampede when Landie Greyling topped the podium. Ester Alves seems to be running everything at the moment. I would say ‘too much’ for her to have any potential for the podium at ITT but she may well make the top 5 and top 10 should be guaranteed if all goes well. 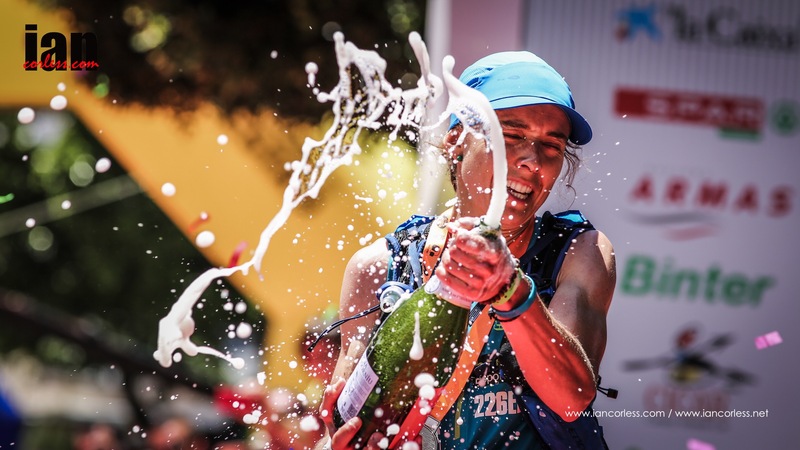 Recently she placed 2nd behind Stevie Kremer at Ultra SkyMarathon Madeira. Ragna Debats, Frederica Boifava, Anna Strakova, Sarah Vieuielle and Virginie Govignon. The Ice Trail Tarentaise weekend is also renowned for the Bellevarde Vertical Kilometer, which was reintroduced in 2014. The course is a tough one, which may include snow although this looks unlikely after recent high temperatures throughout Europe. This race may well prove to be very exciting, as Francois Gonon will run after his recent excellent CR on the vertical slopes in Chamonix. 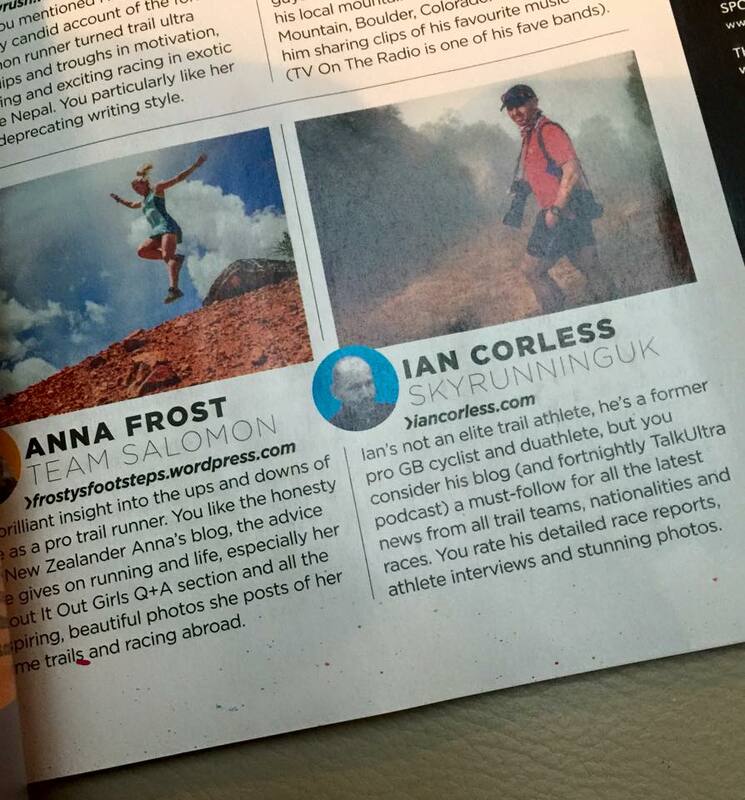 Race Tweets will come to you via @skyrunning_com and on the Skyrunning Facebook page.